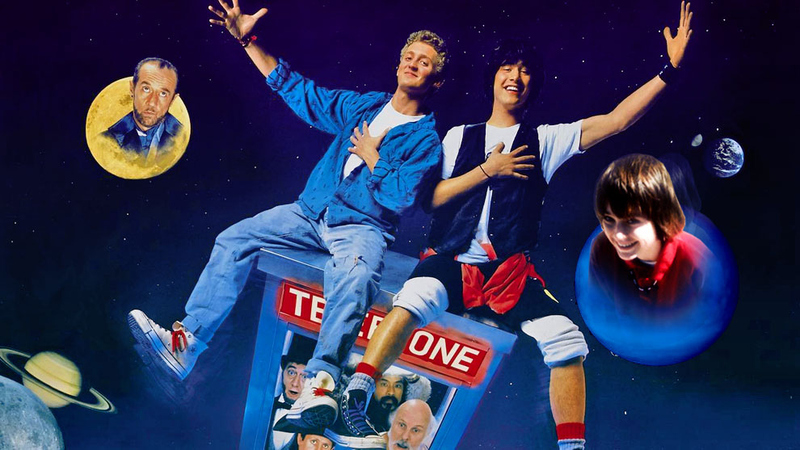 BILL AND TED’S AND MY EXCELLENT ADVENTURE: On the stoner classic’s 25th anniversary, an extra from the movie goes back in time and realizes how spending a few days in a mall with Keanu Reeves altered her own history. In high school one of my favorite things to do was go to a teen nightclub called Tommy’s. James was my only friend who could drive, and because we lived in the same south Phoenix neighborhood, he would pick me up first in his dad’s white Bonneville, which had blood-red upholstery. By the time we we got to Tommy’s, five of us were jammed into the backseat with another four up front, the car so weighed down that we had to lean forward all at once to keep its tail end from scraping the curb in the parking lot.